NB 84 students of IIT-P scored BITS-eligible marks in BITSAT 2017. NB 75 students of IIT-P scored BITS-eligible marks in BITSAT 2016. 72 students of IIT-P scored BITS-eligible marks in BITSAT 2015. 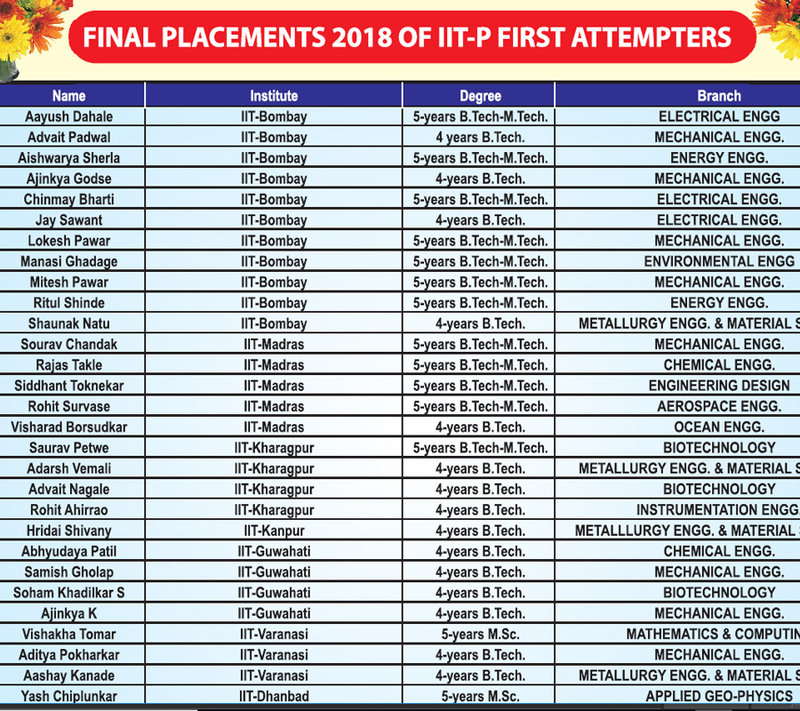 NB 75 students from IIT-P scored above BITS eligible marks in BITSAT 2014	A score of 300 / 450 is required to secure admission in Top 5 branches of Engg. A score of 300 / 450 is required to secure admission in Top 5 branches of Engg. Sushrut scored the highest score in BITSAT in Pune in 2013.